Today I've been working on some of the things I need to get my classroom in order and I thought I would share them with you, if you can use them please feel free to do so! All the backgrounds and frames came from Just So Scrappy as well as the tree and birds, the clipart on the daily 5 cards is from Scrapping Doddles. Enjoy!! *** I know some of the colors are not showing up in the Google Docs previews but once you download them they will all be there*** I don't know why Google does this to me sometimes!! If you click on the pictures it should take you to the product now I have updated it! I must be doing something wrong because I can't download them. I'll I see i just pictures of them. HELP!!!! I'm sorry they aren't working for you :( If you email me at theresourcefulroom@gmail.com I will send them to you through the attachment. Love the colors. They go perfectly with my class color scheme! Thanks for sharing! I love your Word Wall letters and Cafe letter colors. They are perfect for my classroom! But, I too am having trouble getting them to download. I just keep getting the pictures. Do you mind sending me the link as well when you get a minute? My e-mail is kferretti@peachtreeacademy.com. Thanks so much! LOVE these. This goes perfectly with my classroom this year. I even just made curtains that are pink, black and green. It would match great. I also am having a hard time downloading. I will email you so that you can send me your file. If you visit my new blog, I have a picture on there of my curtains. :) I am so excited about this coming year. Thanks so much for sharing your items. I love these and the colors are perfect. I am also unable to download these beautiful items. Would it be possible for you to email them to me. My email is tricia.meyer.elda@gmail.com. These are great. My color scheme in my classroom is green and pink! I think I've emailed everyone who has asked for a copy via attachment, I'm sorry not sure why Goggle docs isn't working great tonight but I'm working on it! If you didn't get a copy and want one just email me and I'll get it to you!! Love these! Adorable! Match my polka dot theme perfectly! Thanks for making them free!! Thank you so much for these Amy! They are so cute and go great with my color scheme of blue, green and pink polka dots. I love these too! They match my classroom perfectly too!! Thanks!! Wow!! These are GREAT!! :) I am so glad that I found you tonight!! I am your newest follower!! 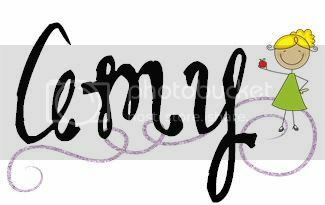 I would love it if you stopped by my blog sometime!! Thank you Amy! I love them. Hi Amy! Tammy again. I was wondering if you wouldn't mind making a computer Daily 5 card?? 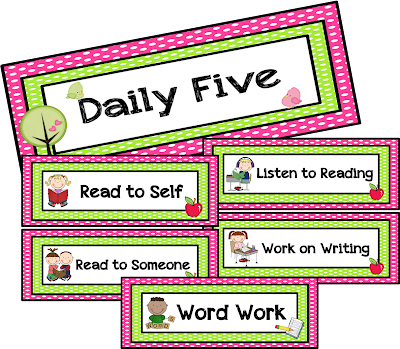 Since I have Read to Self at a different time in my day, I do computers to make it the Daily 5. I printed out your documents today and they look fabulous in my room. Thanks so much. I love, love, love all of these. They will match my room perfectly! Thanks for sharing. Oh my my! 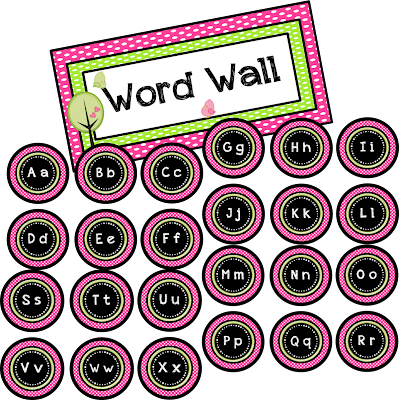 I love the letters for your word wall. I have been looking for some to go in my blue and lime green room. Would it be possible for you to change the pink to blue for me? I see many people have requested various color schemes for the binder pages, so just thought I would ask! Love your blog and am your newest follower! I love them they are colorful!. Did you made in purple?